The Compass Hostel consists of two rooms located on the first floor of an old house. In the very center of the city of Burgas, next to the zero kilometer of Burgas. The bedrooms have bunk beds. Guests can use free WI-Fi, refrigerator, microwave, kettle, dishes, bed linen, towels. There is a discount for guests who stay for 5 days or longer. There is a bike rental. 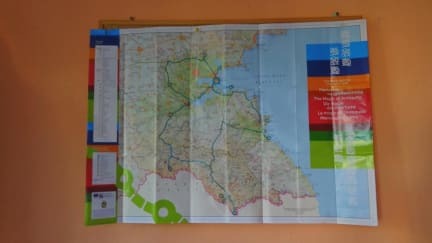 The Hostel Compass Burgas is located in the very center of the city on the main street of Burgas, within walking distance of the railway station, the main bus station and the main beach. 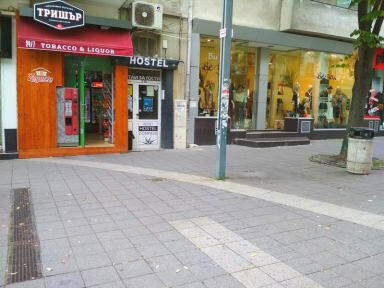 Within a radius of 100 meters from the hostel there are four restaurants, sightseeing, Bank, ATMs, currency exchange offices, shops, supermarket, McDonald's, dining room. In 500 metres the main bus station and railway station. 150-300 meters is the Church of Cyril and Methodius, the ethnographic Museum, the archaeological Museum.